Google Drive is very useful for people who want to Share, Send and Store files online. The main advantage of Google Drive over Gmail is, with Gmail you can upload only files with 25MB. But with Google Drive you can upload files larger than 25MB. To use this service, first you need to have a Google Account (I assume you already have a Google Account). After you have signed up or if you already have a Google account, you can download the Google Drive app that is used to sync files between your system folders and files that is stored online. 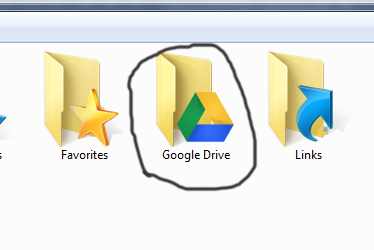 After you have installed the application in your system, you will find a Google drive folder in your systems Users folder, like the one shown in the image above. Once you are done installing the Google Drive app it's time to upload your files. Sign into the Google Drive account and you can see the settings for the Google Drive as shown in the image below. 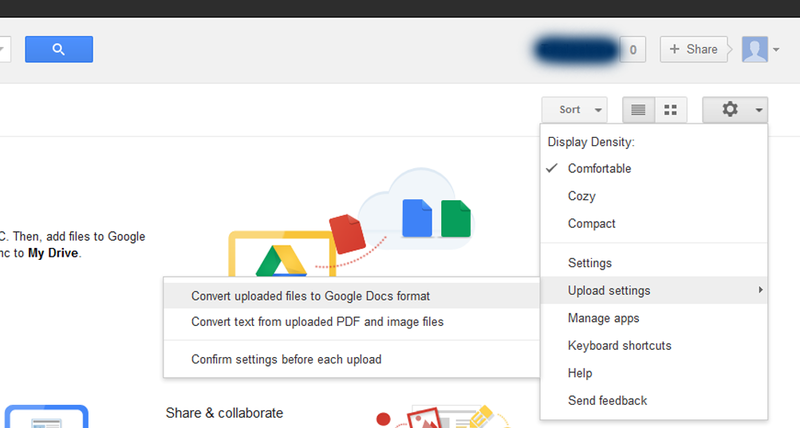 You have options to convert the uploaded file to Google Docs format and to convert the text from uploaded PDF and image files. There are more settings in Google drive that may be helpful to you. So it's better to get a look at all of it. 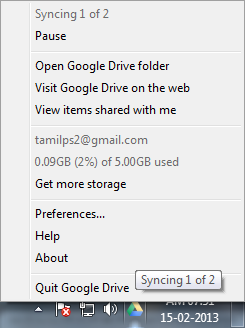 Once you have saved your setting and done configuring your Google drive options, it's time to upload some files. Google Drive is more of like a real PC that we use. You can Create Folders to keep your contents arranged and easily accessible. 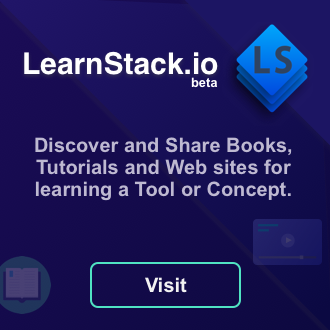 Click on the folder icon to create the folder. You will be asked to enter the folder name which you want it to be. After you have created the Folder click the little Upload icon to the right of the Create button. Then you can select the file that you wish to upload. To my knowledge you can upload files up to 10GB in Google Drive. Once you have finished uploading the files to Google Drive you can use the Google drive app to sync the files to your systems Google drive folder. After you start the Google drive app when you are signed in to your Google account, it automatically starts to sync and download files that you have uploaded in the Google Drive. 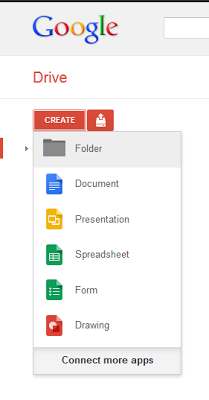 All the files that you upload in the Google drive will automatically be saved to your systems Google drive folder. Another major feature of Google Drive is the facility for you to send files using Gmail to the others. 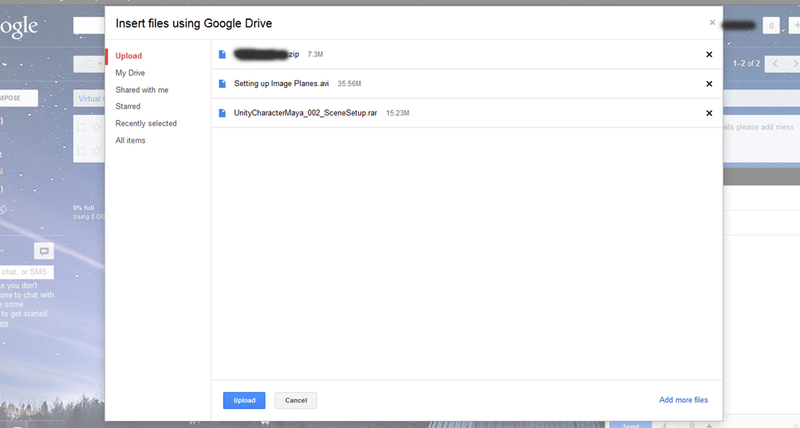 That is the main feature of Google Drive, that is sharing your files with others using Gmail. If the file size exceeds more than 25 Mb Google by default asks you to use Google Drive. 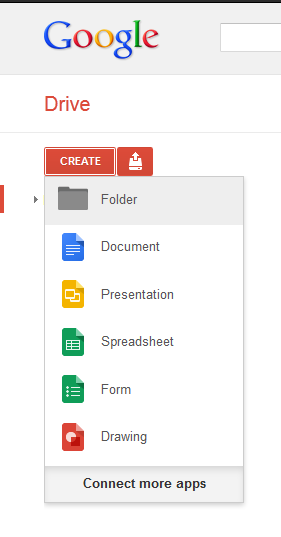 But you can upload files in Gmail using Google drive by selecting the file attachment option with Google Drive. Then you can upload the files and share it to others.